Vanta handheld XRF analyzers help ensure manufacturers and installers of expensive or mission-critical components and machinery have the correct alloy grades, regardless of the material source. Manufacturers often hold suppliers to a rigid quality process that dictates tight controls on all raw materials. Non-conforming material can potentially halt the production line, wasting time and money. 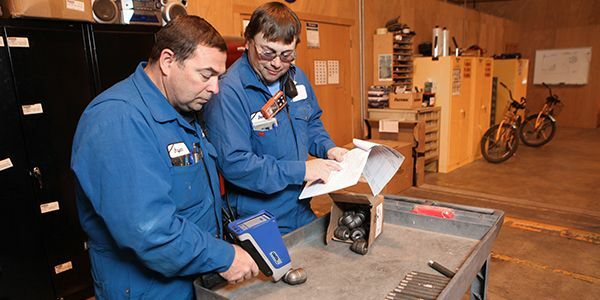 Material mix-ups are an unfortunate reality in critical manufacturing operations. Incoming materials must be tested to ensure quality control and quality assurance. 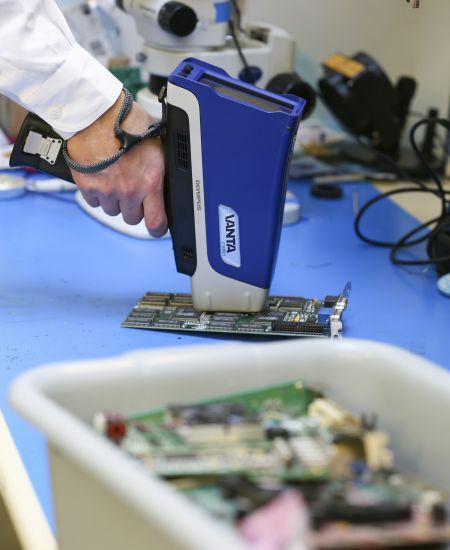 “Trust but verify” is a motto that every manufacturer should live by to protect their operations, and Vanta analyzers are proven tools that can help provide this protection. Vanta analyzers are built for fast results and maximum productivity in the most rugged industrial environments. Drop tested to U.S. Department of Defense methods (MIL-STD-810G), reducing the risk of damage and costly repairs when a device is dropped or jostled. Olympus’ Axon™ technology built into every Vanta analyzer provides accurate alloy chemistry and grade ID in seconds for typical QA/QC applications and materials verification programs. Axon technology uses ultra-low-noise electronics enabling higher X-ray counts per second for fast, accurate, and repeatable results. Quad-core processor for the best results in the least amount of time. The Vanta series’ optional sample and panoramic cameras, user-defined input fields, connectivity features, and extensive data reporting capabilities maximize speed and efficiency of industrial goods processing. Ergonomic buttons and an industrial-grade, push-button joystick make it easy to navigate the system with gloved hands. Many industries rely on the raw materials and materials provided throughout the product lifecycle from primary metal production to engineered manufacturing to manufactured and assembled parts. 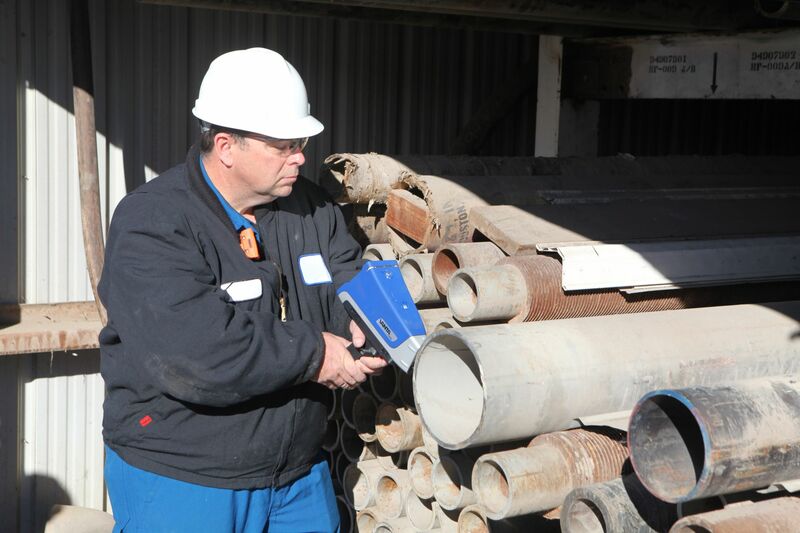 Inspecting materials as part of a QA/QC program is important because the cost of failure can be catastrophic. 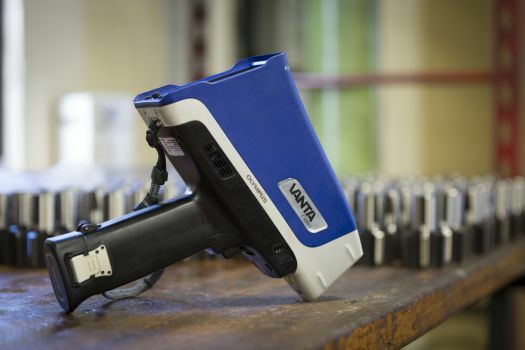 Vanta™ handheld XRF provides material chemistry information fast and is optimized for traceability and rapid reporting. 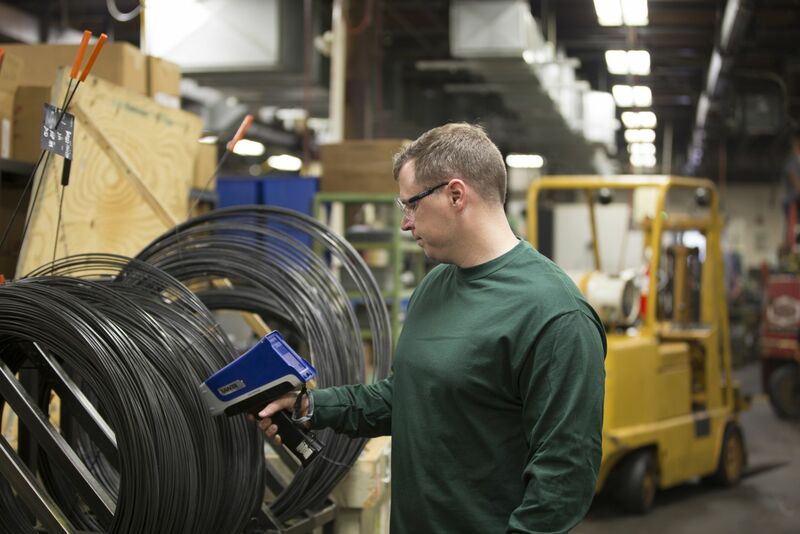 Vanta analyzers streamline record keeping and traceability. Users can easily capture and export comprehensive shot data. In mission critical industries like aerospace and automobile manufacturing, mistakes have a high cost of failure. Comprehensive grade identification: The standard grade library includes more than 600 unique alloy grades. The residual ‘tramp’ library, based on industry standards, simplifies grade matching. SmartSort for high test throughput: Automatically extends testing time for light elements when necessary and eliminates unnecessarily long tests. Small spot collimator: The optional collimator helps users isolate small features from the background material. Optional 5-megapixel panoramic camera: Save and archive a photographic record of tested surfaces. Vanta analyzers are used to identify and quantify trace levels of lead (at and below 0.25%) in Envirobrass and more than 125 common copper grades as well as to measure the presence of lead in plumbing pipes, fixtures, and components that carry drinking water in order to comply with the Safe Drinking Water Act. Testing for the presence of lead helps manufacturers prevent material mix-ups and determine the levels of lead present in components. It is critical for medical device manufacturers to confirm alloy quality. Small changes in the concentrations of constituent elements or impurities can be critical as they may alter the strength-to-weight ratio and corrosion resistance. 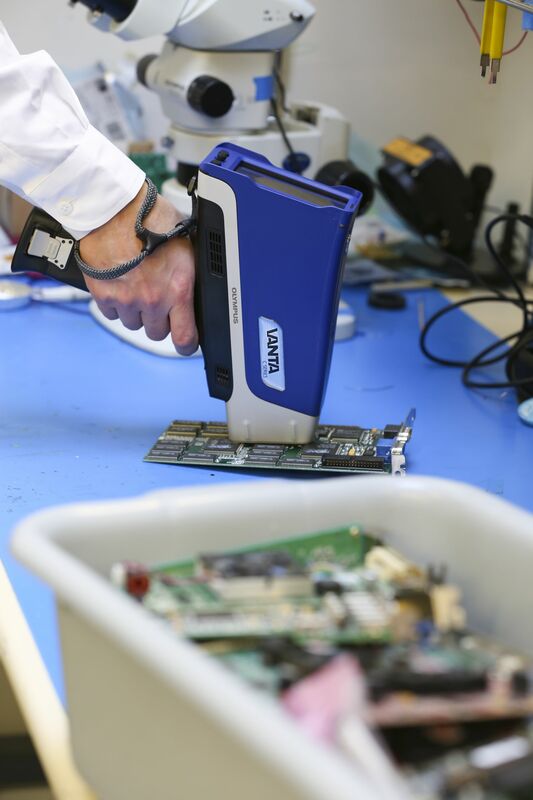 Vanta analyzers enable medical device manufacturers create a record of material identification as part of the overall documentation and compliance process.